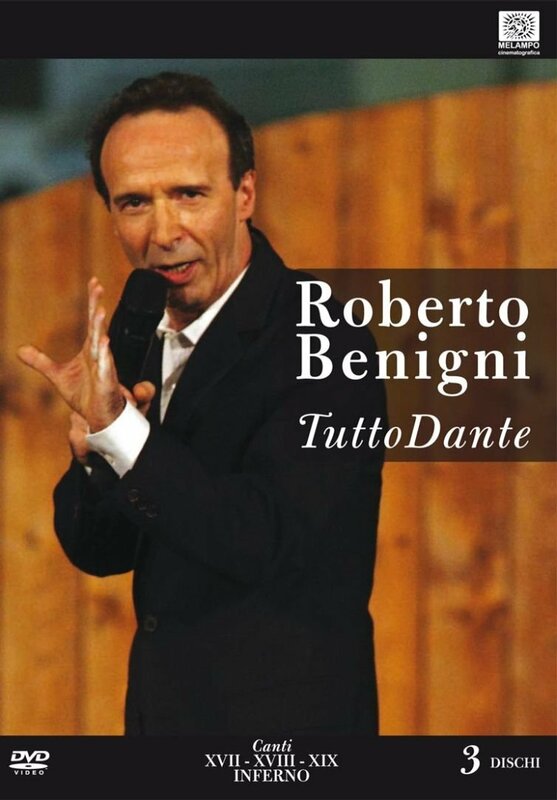 "Tutto Dante" is a play of Roberto Benigni, having as its central moment the exegesis of the Divina Commedia by Dante Alighieri. In July 2006, the show took place on 13 evenings in Piazza Santa Croce in Florence, where, next to the statue of Dante and in front of the great basilica, on a stage set up for the show, every night Benigni starred - one for the evening - thirteen songs of the Divine Comedy by Dante Alighieri: in particular, the songs chosen for these evenings were the top ten, the XXVI and XXXIII of Hell and Paradise XXXIII.The square has been set up with 4,200 seats, all of them sold out every night. After Florence, the show has been represented in squares, arenas, theaters, in Italy and abroad with incredible audience success. Moreover, more than 10 million viewers watched the TV show broadcast on Rai Uno and on Rai International.